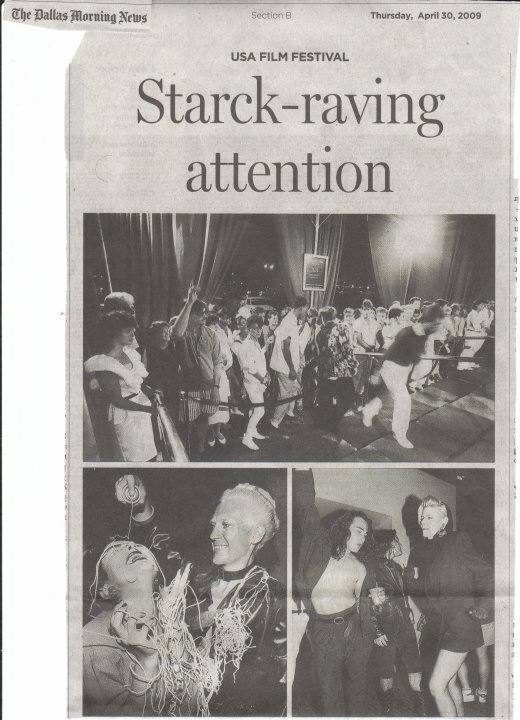 I came across The Starck Club Documentary while online, I think it was on Facebook, but it actually may have been on Myspace a few years ago. At that time there was just talk of putting a movie together. Anyway, since the first time I saw the hintings of a movie, I was ready to watch. Then fast forward to a couple of days ago, and I saw it again. This time I watched the trailer and was trying to figure out if I wanted to rent or buy the movie. 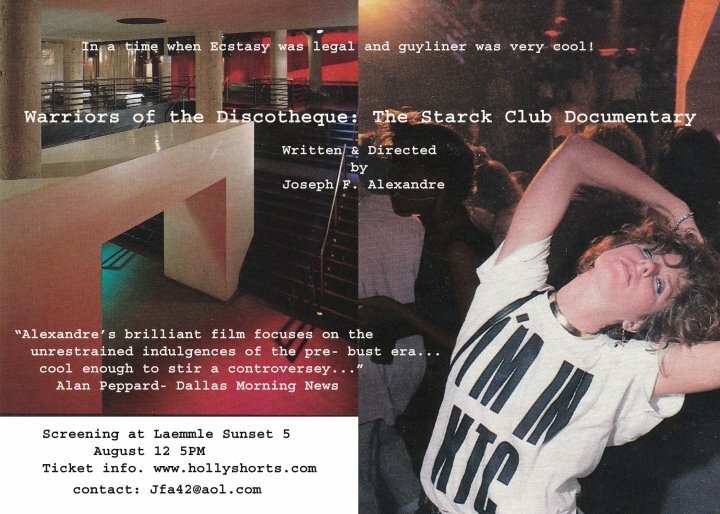 If any of you out there have been in the club scene, then your interest should be piqued. 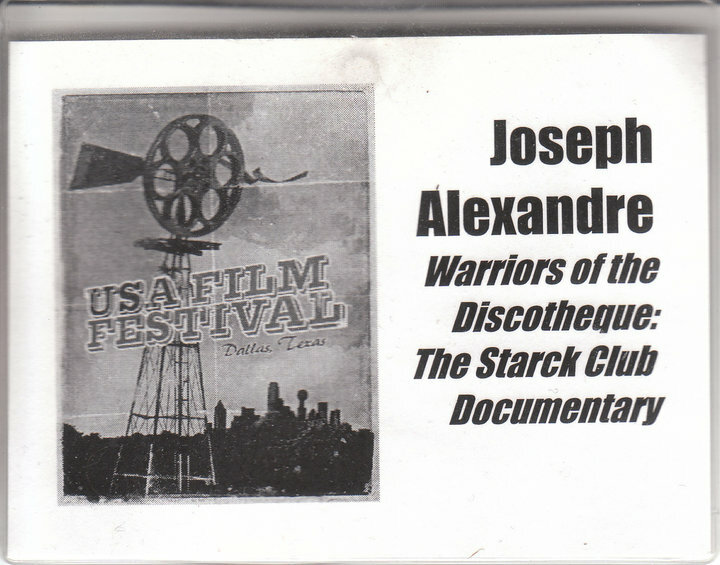 I was beyond intrigued, so I invited the producer, Joseph F. Alexandre, for an interview. Jfa42: it was prefigured the whole anti depressant thing… That sort of lead to it, but really it’s when Joe blow started coming from the outer suburbs that kind of lost the magic… it had good 2-3 run so..
Jfa42: It did, I also think some of it had to do w/ ownership losing their edge, getting caught up in the scene so to speak… sniff, sniff if you get my drift. SIVY221: So is the film not done– I watched a trailer on Amazon? Jfa42: Well we had a couple of crowd funding campaigns that fizzled but if people could rent it on VOD on Amazon for 2 bucks thatd help us alot:) no doubt! SIVY221: Yes They should rent it! I will include the links to rent it at the end of this interview. Jfa42: Also join our facebook page would be a huge help! SIVY221: So join facebook and Rent Rent Rent! Jfa42: word of mouth just trumps everything else… thank you appreciate greatly!!! !